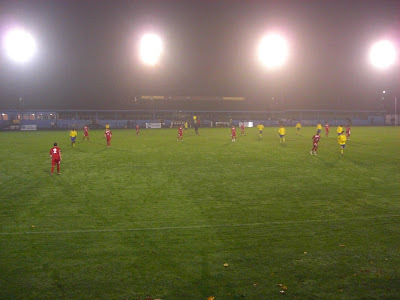 My seventy-sixth stadium of 2011 was on Tuesday 8th November 2011 at Clarence Park in St Albans, Hertfordshire. The match was St Albans City vs. Hemel Hempstead Town in the Red Insure Cup 1st Round. Clarence Park is around one-third of a mile from St Albans railway station in the city centre. 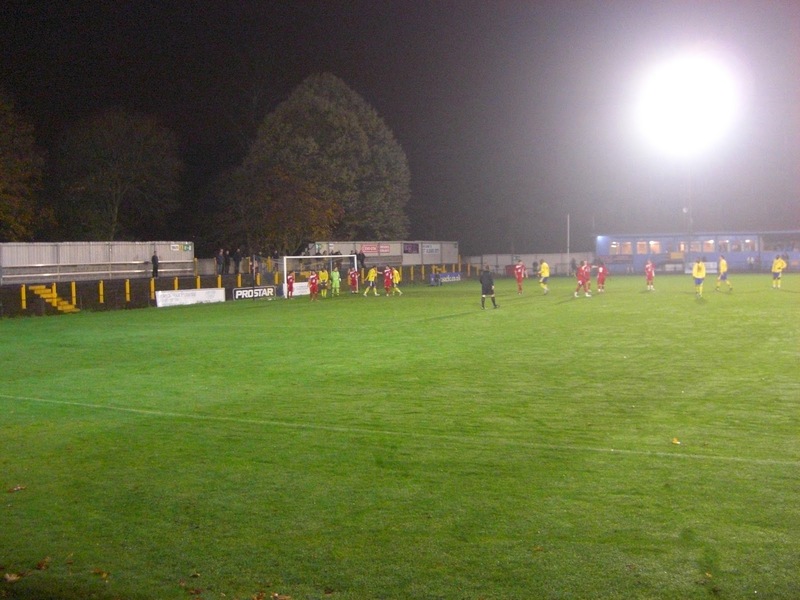 The ground has been home to St Albans City since 1908 although it had previously been the home of St Albans FC from 1894 until they folded in 1904. The venue has one all-seater stand running the length of the pitch on the west side of the ground. This has a capacity of around 550 and also contains the boardroom and a bar at its southern end. Sitting directly behind this stand is the clubhouse. The east side of the ground sees the only other structure - a covered terrace section positioned just south of the half-way line. The north, south and east sides of the ground form a terraced bowl which is uncovered except for the previously mentioned covered section taking up part of the east side of the pitch. 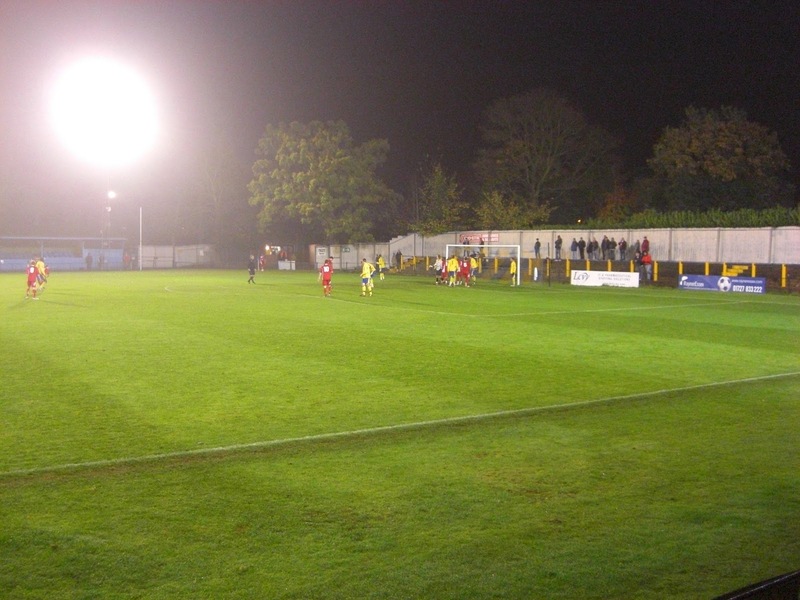 Officially the terracing is split into three sections with the East Terrace running alongside the pitch, the York Road Terrace behind the goal at the north end of the ground and the Hatfield Road Terrace behind the goal at the south end of the ground. The game was a Southern League Cup (also known as the Red Insure Cup for sponsorship reasons) 1st Round tie between Southern League Premier Division sides St Albans City and Hemel Hempstead Town. The visitors made much of the early running and took the lead in the 8th minute after an excellent ball into the box was turned in at the near post. St Albans gradually came back into the game and although the first period was fast-paced the lack of decent finishing meant no more goals were scored. 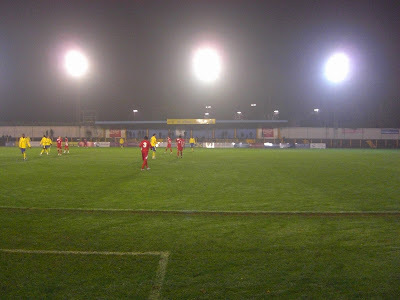 The second half started with a bang as Hemel Hempstead rattled the bar just 20 seconds in and just after the hour mark they went 2-0 up with a 20-yard free-kick into the bottom of the net. 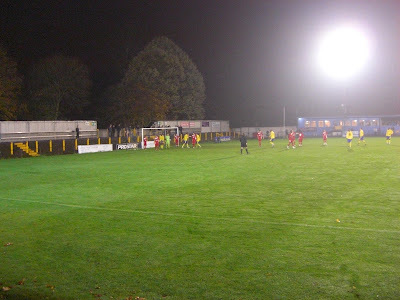 St Albans themselves then hit the visitors crossbar but blazed over the rebound from close range. With two minutes to go the visitors killed off the tie by adding a third giving them a deserved 3-0 victory.